Spiny lobster season is upon us, but before commercial fishermen go out in droves to collect the endemic crustaceans, recreational anglers have two days of open waters and rock lobsters. The mini lobster season is an annual, 2-day period that always falls on the last Wednesday and Thursday of July. Sports fishermen are permitted to get to lobsters before the big boats do. This year, the mini season falls on July 25-26. The 2-day frenzy draws lots of out-of-towners to the island, looking to get in on the action. The impact has received mixed reviews from locals. However, if everyone plays by the rules applicable to Monroe County, the lobster mini season can be enjoyed by everyone. Here are some rules to follow, which are strictly enforced on and off the water. Play fair and happy hunting! -Have everything ready before launching your boat. This ensures that everyone gets into the water quickly, there’s no outbursts at the boat launch, and everyone’s happy. -Have a measuring device on you at all times. Spiny lobsters must have a carapace larger than 3 inches (starting from rostral horns to the bottom edge of the carapace) . If you’re confused about what this is, where it is or how to measure it, refer to FWC’s measuring guide. -Have your saltwater fishing license on you at all times, with the required spiny lobster tag. -Keep the lobster intact, from catch to shore arrival. -Enjoy a six-lobster maximum per day. -Catch six spiny lobsters and go out in the same day for six more. -Keep female lobsters with eggs under the tail. Female lobsters with eggs must be released. -Remove the tail before docking. Lobsters must be caught and landed in one piece. -Use spears. Or spear guns. 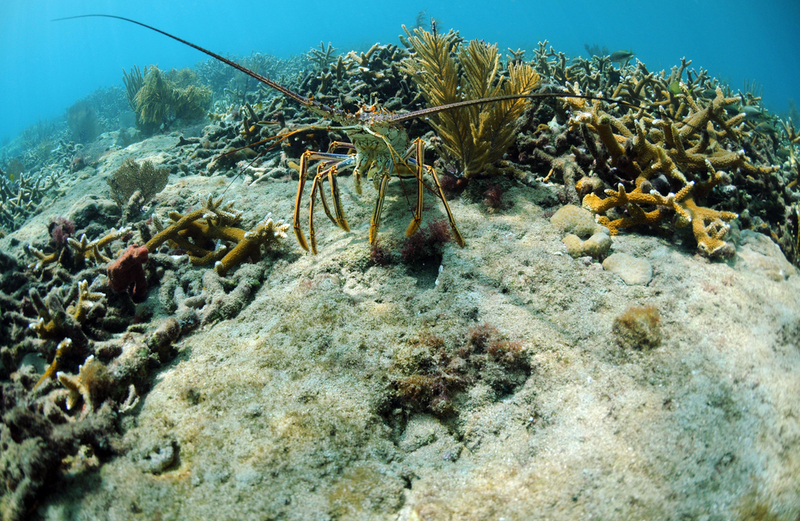 -Harvest lobsters in the Biscayne Bay/Card Sound Lobster Sanctuary; Dry Tortugas; the Florida Keys National Marine Sanctuary. See other prohibited areas on the FWC list. -Dive at night. “Night” is defined as one hour after official sunset to one hour before official sunrise. Finally, the official lobster season opens Aug. 6 and runs eight sunny months through March 31. Book lobster charters during the regular season ahead of time. Florida Keys Reel Adventures offers charters with fishermen versed in the art of “tickling” spiny lobsters into small nets. See their special lobstering charter here. Thinking about a day out on the water? Or a spiny lobster dish? Join us for lobster season. Book your stay in Key West at 24 North Hotel.